Local residents wear head scarves and listen to sermons by the Imam during a call to prayer and moments of silence at Masjid Umar mosque in Auckland on March 22, 2019, a week after the Christchurch twin mosques attacks that claimed 50 lives. The recent terror attack in Christchurch, New Zealand, showed the pervasive reach of Islamophobia. The United Nations’ Global Goals calls on people everywhere to promote tolerance and inclusivity. You can join us in taking action on this issue here. Thaya Ashman heard that some Muslim women were afraid to go outside in hijabs after the deadly shootings at two mosques in Christchurch, New Zealand, on Mar. 15, according to Reuters. So she organized a movement of people to wear headscarves in solidarity. On Friday, people of all backgrounds throughout New Zealand could be seen wearing head coverings, including outside the Al Noor mosque in Christchurch — one of the targets of the terror attack. “I wanted to say: ‘We are with you, we want you to feel at home on your own streets, we love, support, and respect you,’” Ashman told Reuters. The effort to make Muslims feel comfortable has found a strong ally in New Zealand Prime Minister Jacinda Ardern. 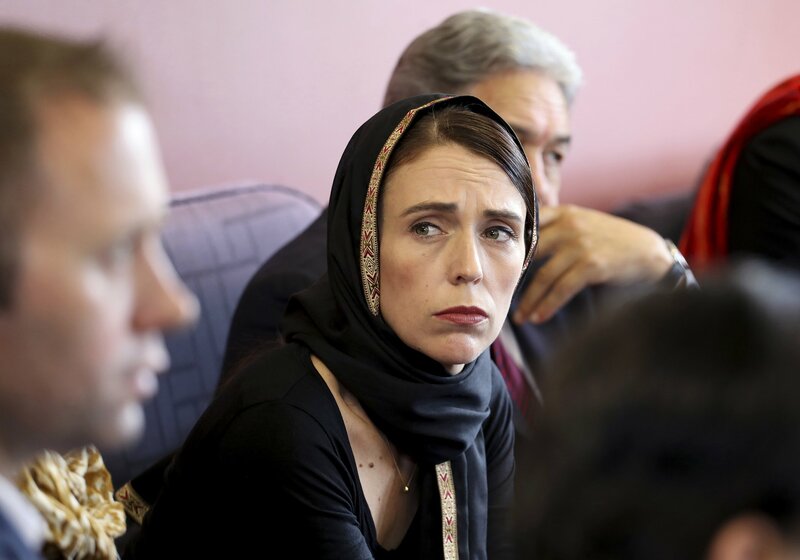 Ardern has worn a hijab on numerous occasions since the tragedy, ordered the broadcasting of the Muslim call to prayer on Friday, repeatedly denounced Islamophobia, accompanied survivors of the shooting in their mourning, and pledged official financial assistance to the families of the victims. In this photo released by New Zealand Prime Minister's Office, Prime Minister Jacinda Ardern, center, meets representatives of the Muslim community, March 16, 2019, at the Canterbury Refugee Centre in Christchurch, New Zealand. The terror attack in Christchurch exposed deep roots of Islamophobia and white supremacy, causing widespread alarm around the world. Further, the terrorist’s manifesto echoes views championed by certain groups and individuals all around the world, which makes the fight against racism and xenophobia a global one. The World Economic Forum recently reported that Islamophobia is on the rise across Europe, and anti-Muslim crimes have surged in the United States and Canada over the past two years. Earlier this week, Ardern called for a global fight against racism, which could begin with a special session on the matter at the United Nations. The movement to wear headscarves in solidarity with Muslims in New Zealand is especially poignant as the hijab has become a symbol of controversy around the world. In various countries, hijabs, burkas, and niqabs have been banned or restricted, and women who wear Muslim garments often face harassment and violence. In New Zealand, some schools have been forced to review policies that prohibit hijabs in the past week. Read More: New Zealand's PM Called for a Global Fight Against Racism. What Would That Look Like? The country is facing a broader reckoning with Islamophobia, and Muslims have been sharing stories of how prejudice affects their daily lives. During today’s Friday prayer, however, the country momentarily came together to show that Muslims are welcomed and appreciated.